Jonny Pearce’s grandfather owned a hardware store and was a penny pincher. Or a pence pincher, as he lived in England. 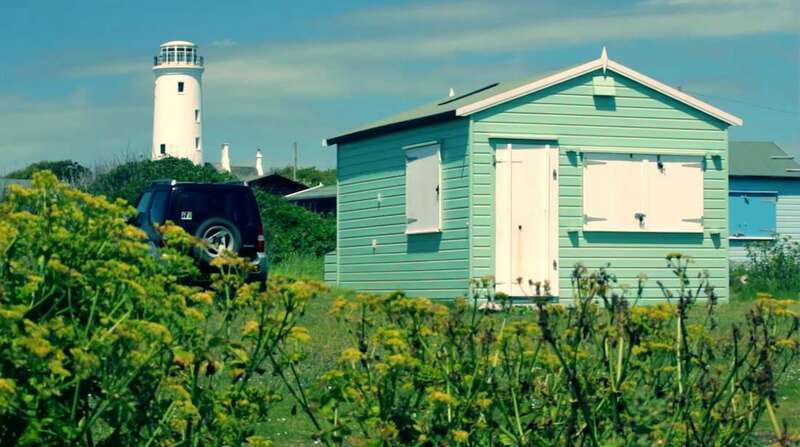 So, when it came time to build a vacation hut, he put it together in his garden, hauled it to the shore at Portland in Dorset on the back of a truck, and covered it with old, left-over paint that was lying around the store—pistachio green for the sides and pink for the roof. The hut was unmistakable even from far away, surely the first sight of it come holiday time must have been thrilled Pearce and his sibs—because soon enough they’d be hunting for lobster, jumping off cliffs into the sea, and running wild on the windswept coast. Weekend Cabin is far more than just cabins and mountains, and this short film by Andy Ballard gives a glimpse into a small-island beach life, posted up in a little homemade hut, which spanned generations. England isn’t known for catching rays, but Dorset County, nestled along the UK’s southern coast, sees much more sun than the national average: 364 more hours, to be exact. The seaside community is home to stunning, wild coastlines, tons of fresh seafood, and super-relaxed locals and visitors. And it’s a reminder that cabins—or huts, as it were—aren’t about the shelter, but what it leads you to.